RWW looks at MLB.com’s iPhone app, which has just added a feature to stream live video. At $10, fans of the sport are downloading the app to gain access to stats and data – a new revenue stream for other media? “The emphasis on statistics, the extensive reporting infrastructure that baseball already has built out and the ‘wow factor’ of the iPhone’s interface are all things that other established media outlets have an opportunity to emulate,” writes Marshall Kirkpatrick. This entry was posted in Editors' pick, Mobile and tagged iPhone, Marshall Kirkpatrick, media model, media outlets, MLB, mlb.com, revenue, USD on June 18, 2009 by Laura Oliver. It seems that more and more people are eschewing television in favour of online content, when it comes to obtaining and providing coverage of important events. According to the Associated Press, eight million users watched the inauguration of the 44th President of the United States in Washington D.C on Tuesday, via AP’s Online Video Network (OVN). At its peak, AP claim that as many as 374,000 streams were accessed concurrently. This is a significant increase from the 80,000 live streams AP recorded during its coverage of the presidential election night in November. In addition, 160 media outlets subscribed to their premium service, which provided a video widget allowing for multiple viewing angles of the event. Static media also enjoyed a healthy rise, with AP Images and AP Exchange together recording an 80 per cent peak over regular traffic to their sites during the event. In total, over 1,400 inaugural images passed through their services from around the globe. AP were not alone in their online triumph. CNN shattered its own record four-fold, by attracting 136 million views of its website and 21.3 million viewers to its live streaming coverage. Web users were so busy watching President Obama sworn into office that Google noticed a distinct drop in the number of searches performed during the inaugural address. This entry was posted in Handy tools and technology, Online Journalism and tagged 44th President, CNN, google, media outlets, Obama, obama inauguration, online content, online triumph, Online Video Network, President, Static media, us, web users on January 22, 2009 by Nigel Brown. Yesterday I picked up a discussion on Facebook, via a friend, about media coverage of the Ghanaian elections (voters went to the polls yesterday, and votes are being counted now, if you missed it, by the way) why had there been so little election coverage on the Western networks? Very little on CNN; very little on BBC. “I was hoping, only hoping that for just a fraction of a moment the media cameras and the pens will slip from Mugabe’s Zimbabwe onto Ghana. Just a bit of positive reportage on Africa! That’s all I was hoping for. But I guess that’s not sensational enough for the Western media. ‘Ghana peacefully elects a new President’… that’s not headline stuff! It simply does not sell,” wrote Maclean Arthur. “Perhaps, Ghana does not exist on their radar screen. Ghana, like the rest of black Africa will only pop-up on their monitoring screens when over 1,000 people have butchered themselves or over 300,000 people are dying of starvation, or over 500,000 people are displaced by a civil war,” Ajao writes. Over on Facebook, others were quick to join in the criticism and call for more African specific coverage, in the form of an African television network. “Everything we get is negative out of Africa. 99 per cent of the news is genocides, wars, famine, HIV. However, Amin is still searching for suitable investors that won’t compromise the ideals and aims of the channel. In the meantime, A24 exists as an online video agency. Yes, some websites are bridging some gaps (for example, New America Media for the ethnic media in the US, and Global Voices Online – who wrote about Twittering the Ghanaian elections here), but there’s still a heck of a way to go. BBC World Service may have a Ghana Election page, but it’s not quite on the same scale as you might see for a European election is it? This entry was posted in Online Journalism, Press freedom and ethics and tagged africa, african news agency, african television network, BBC, British Broadcasting Corporation, CNN, David Ajao, ethnic media, Facebook, Ghana, ghanaian presidential election, global voices online, Journalism.co.uk, media cameras, media coverage, media outlets, Mugabe, online video agency, President, Salim Amin, television network, United States, Zimbabwe on December 8, 2008 by Judith Townend. Some 500 investigative journalists from 86 different countries descended on Lillehammer, Norway, for the Global Investigative Journalism conference (GIJC) last week, but hardly any used social media to report live from the event. Isaac Mao, who is often referred to as China’s first blogger (pictured right) and has watched bloggers slowly changing China’s media landscape for the better, found the absence of livebloggers and users of microblogging sites such as Twitter surprising. “I wish 20 per cent here would twitter rather than just one, as it makes twittering from a conference more interesting. I think the group here is really big, but I have seen three guys open Skype, and no-one, other than you, have the Twitter-screen open,” Mao told me. The high-profile blogger and social entrepreneur thinks blogs should redefine the landscape of journalism and how broad it really is, by enabling readers to participate more in traditional media. He is firmly of the opinion that media should not be the exclusive domain of a few prestigious journalists. In this new reality Mao talks about, China has some 50 million bloggers (47 million at the end of 2007). Of those, only about 20 million can be described as active, but that is more than enough to make it difficult for the Chinese government to monitor all of them effectively, said Mao, who was invited to the Lillehammer conference to talk about the power of Chinese bloggers. 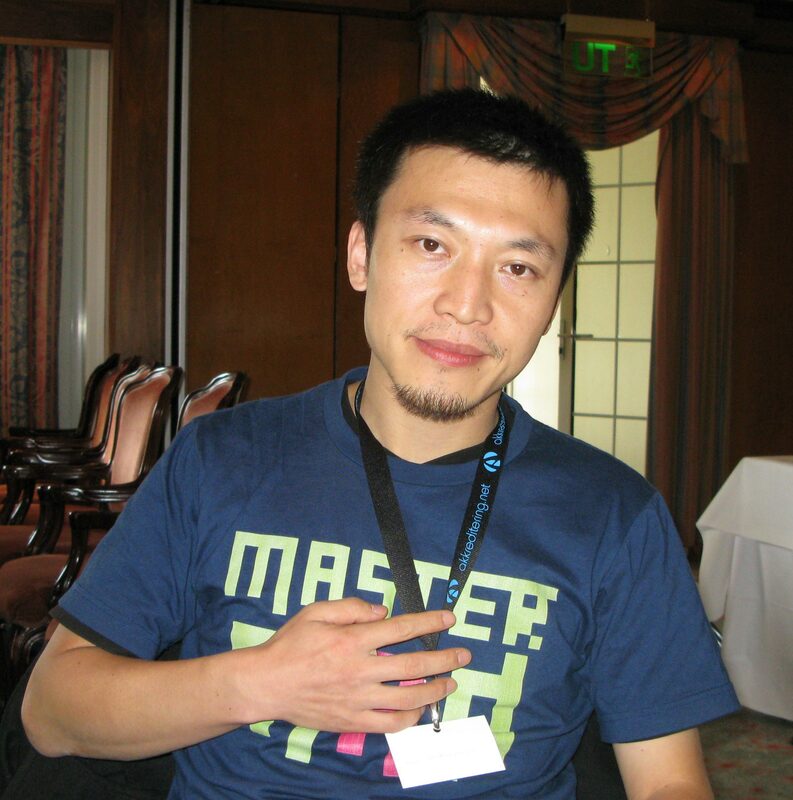 Mao is the founder of CNBlog.org and Social Brain Foundation, which support numerous grassroots initiatives in China, and is an associate of the Berkman Centre for Internet and Society at Harvard Law School in the US. He is also working closely with Global Voices in China, the blog network founded by Rebecca MacKinnon and Ethan Zuckerman, and his work is particularly focused on training people in using safe ways to communicate online and empowering bloggers to do their own investigations by providing training in journalistic methods. “Three years ago bloggers copied traditional media, now traditional media copies bloggers. In particular, journalists do their best to steal content from lifestyle bloggers,” said Mao. “But bloggers and journalists are not enemies to each other. In the beginning, journalists thought bloggers would steal their eyeballs, then they laughed at them; bloggers were not serious enough, not in-depth enough, now they have to cooperate with them,” said Mao. “We have millions of bloggers now; millions doing the same makes it tough for the government to monitor it. I am waiting for the tipping point: we are now at a crossroads. Many journalists have started their own blogs now, some even blog more than they write for the traditional media outlets they work for. “Amateur writings occupy more and more space to try to cooperate with traditional media. The latter are unable to publish a lot of things, but they can give it to bloggers to publish,” said Mao, who hopes to see the two groups, bloggers and journalists, working together more and more. This entry was posted in Events, Online Journalism and tagged Berkman Centre for Internet, blog network, blogger and social entrepreneur, blogging, China, Chinese government, CNBlog, CNBlog.org, copied traditional media, Ethan Zuckerman, founder, Harvard Law School, Isaac Mao, Lillehammer, media copies bloggers, media outlets, Norway, online and empowering bloggers, Online Journalism Scandinavia, Rebecca MacKinnon, Social Brain Foundation, social media, Twitter, United States on September 16, 2008 by Kristine Lowe. Former Sydney Morning Herald editor Eric Beecher has said the government may be forced to step in to safeguard ‘quality journalism’ in Australia, following last week’s announcement by Fairfax Media of 550 job cuts. Alternative media outlets, such as websites, will not be sufficient to plug the gap left by traditional outlets unless backing is found, said Beecher. This entry was posted in Editors' pick, Newspapers, Online Journalism and tagged Australia, editor, Eric Beecher, fairfax, media outlets, Online Journalism, Sydney Morning Herald on September 2, 2008 by Laura Oliver. Yesterday was just plain pancake day in the UK, but over the water it was Super Tuesday, as 24 of America’s 50 states voted on which candidates should be put forward for the country’s presidential election in November. Results + different time zones + different states = a great opportunity for breaking news displayed on mashed-up maps. Google got in on the action with a map displaying live results and, with the help of Twitter and Twittervision, ‘tweets’ from across the US to give instant reactions from voters. In another partnership with YouTube, as part of the site’s You Choose ’08 channel, Google is aggregating videos and clips from news organisations, candidates and users about Super Tuesday and plotting them on a Google map. Elsewhere the BBC’s results map, which features as part of a broader election section, gives an easily navigable, state-by-state guide to the figures. Publish2 launched a bookmarking system for newsrooms, bloggers and journalists, to create an aggregation service. Interested parties were asked to register for a free account and create a specific tag they would use – these tagged items can then be turned into a news feed by Publish2 to be repurposed on the tagger’s site. Here’s an overview of the Networked Newsrooms idea or, to see it in action, visit the Knoxville News Sentinel or the New Jersey News Herald. Newsweek and The Washington Post teamed up for a five hour live webcast, encouraging viewers to react in a live webchat. Meanwhile The Huffington Post produced handheld footage from a Barack Obama rally in New York in the build-up to Tuesday and a live blog of the actual event. MTV sent 23 of its ‘street team’ of citizen journalists to cover the polls and upload footage from video cameras and mobile phones. The clips are being distributed through MTV Mobile, Think.MTV.com and the Associated Press‘ online video network. …well, it’s much more than that really – De Volkskrant created an all-singing, all-dancing ‘slideshow’ with music, text, links, audio analysis and video giving an overview of the candidates, as well as a live results page for Tuesday’s results. This entry was posted in Citizen journalism, Multimedia, Online Journalism and tagged America, Associated Press, Barack Obama, BBC, De Volkskrant, Digital video, google, Knoxville News Sentinel, media outlets, mobile phones, MTV, New Jersey News Herald, New York, Newsweek, Online Video Network, Politics, Super Tuesday, the Knoxville News Sentinel, The Washington Post, Twitter, United Kingdom, United States, USA, Video, YouTube on February 6, 2008 by Laura Oliver.